Montreal author and Scotiabank Giller Prize finalist Kim ThÃºy has been named a finalist for the 2012 Amazon.ca First Novel Award. 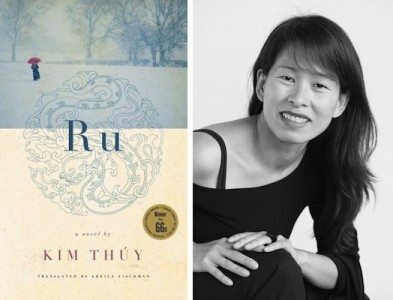 ThÃºy’s debut novel, Ru, was first published in 2009 by Quebec’s Libre Expression, winning the Governor General’s Literary Award for French-language fiction. In 2012, Random House Canada published the English-language version, translated by Sheila Fischman, as part of its New Face of Fiction program. The winner, who receives $7,500, will be selected by a separate jury. The announcement will take place April 24 at an event in Toronto.